A rite of passage for Iyengar yoga practitioners is a trip to the Ramamani Iyengar Memorial Yoga Institute (RIMYI) in Pune—to study directly with the Iyengars. 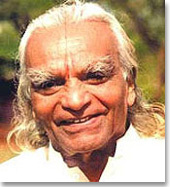 Of course, BKS Iyengar is 92. Unless you met him in the 1970s or ’80s (or possibly the ’90s), it’s too late to make a personal connection now. It’s probably likewise with Geeta and Prashant, the son and daughter carrying his mantle. They, too, have taught thousands of students worldwide. Does it matter that I’m only a “grandstudent” of the Iyengars? 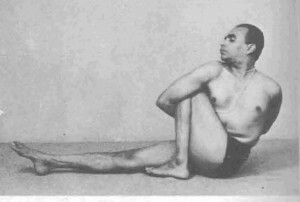 Mr Iyengar is a conceptual teacher so I can certainly learn from his writings and from his disciples. But I’ll never have those firsthand anecdotes! In early July, I traveled to the Iyengar Yoga Centre of Victoria to attend a weeklong teacher-training intensive taught by Leslie Hogya and Ann Kilbertus, among other senior teachers who have studied at RIMYI for decades. They often tell stories about the Iyengars: what they taught, what they said (and how they said it!). I immediately recalled a recent project that my Vancouver colleagues and I did for the Iyengar Yoga Association of Canada (IYAC): we summarized DVDs of Geeta’s 2001 conference in Vancouver. I wasn’t there, so the DVD footage was unfamiliar. While I have a decent ear for accents, it took multiple playbacks to get the gist of her words. In doing asana, she said, “Focus on your own foot. Not others’ feet. It’s none of your business what’s going on with your neighbor’s foot. The audience burst out laughing. And so did I, a decade later. I have no personal stories about Geeta, but how’s that for my secondhand one? I enjoyed our study of Iyengar this weekend. Here are the names of the poets I mentioned, whose work you might enjoy (a lot!). Jan Zwicky and Robert Bringhurst. If you have any questions, I’m happy to answer. I’m really looking forward to reading your blog — it looks amazing! Thanks for this. Previous Previous post: Do Savasana first?